equipment for the Aviation industry and high pressure applications. The magnified linear scale is easy to read, whilst the attractive slim line design with ergonomic “2 click action“ trigger makes them comfortable and easy to use. The Aircraft Model comes complete with “Skydrol“ corrosion resistant hose assemblies with 8v1 and 12v1 tyre value connectors to suit all aircraft tyre valves. Designed for the aviation industry, the aCCura 10 aviation model incorporates all the benefits of PCL’s market leading aCCura range of products with an added high pressure facility, capable of inflating up to 22 bar / 320 psi / 2208 kPa. suitable for use with both air and Nitrogen. 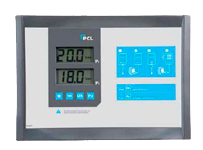 The DAC54 high pressure digital gauge is the latest in the line of quality high pressure measuring tools from PCL. 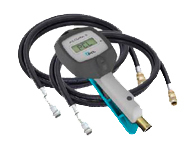 The DAC54 based on the Accura 5 high pressure inflator can measure pressures from 0 to 319 psi. 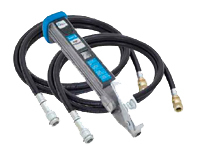 Built for fast, safe and accurate tyre pressure measurement in rugged and testing environments it is the ideal tool for Aviation and other high pressure applications.